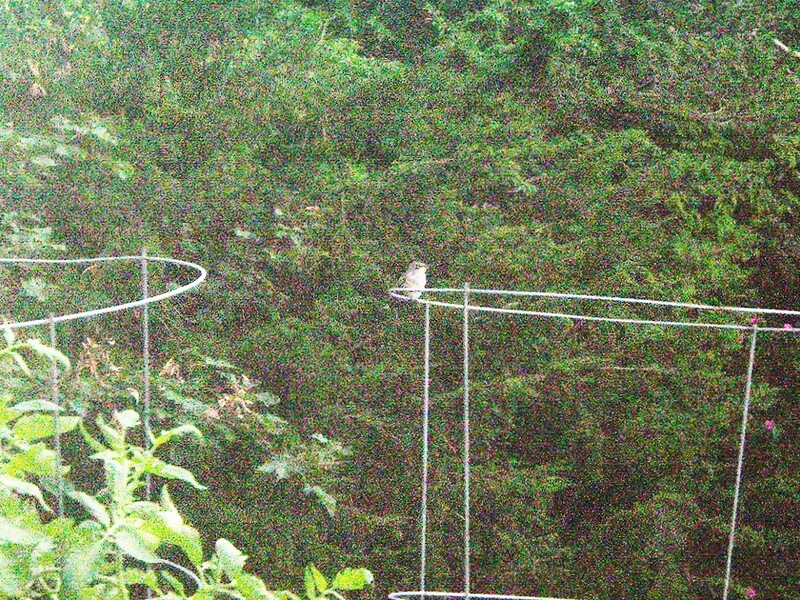 For a few years now I have been trying to take pictures of the hummingbirds that come on my deck and sit on top of my tomato cage to rest. 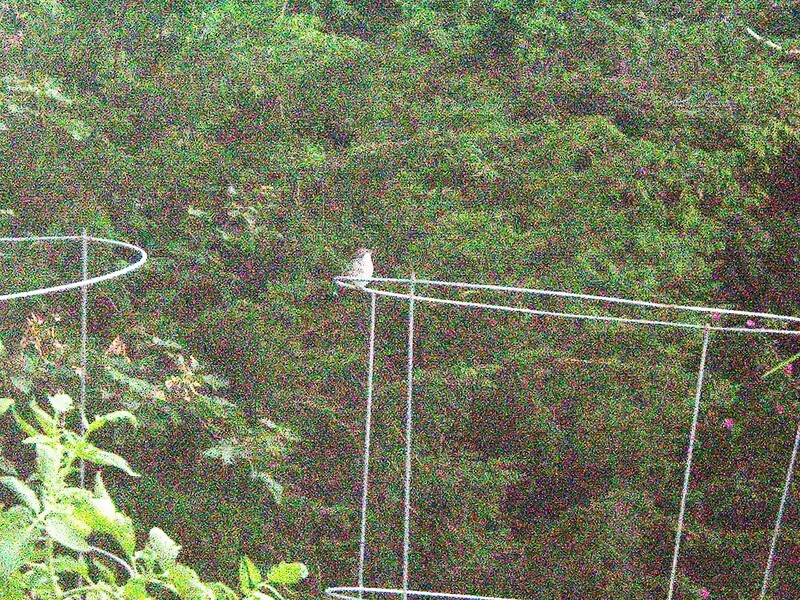 They come daily to sit on top of my tomato cage and rest their wings. 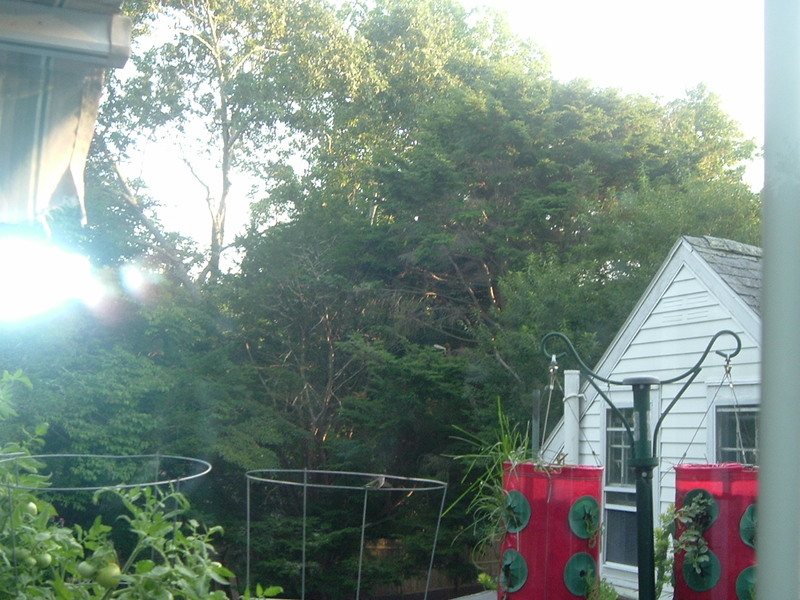 However, every time I have tried to capture a picture they fly off. 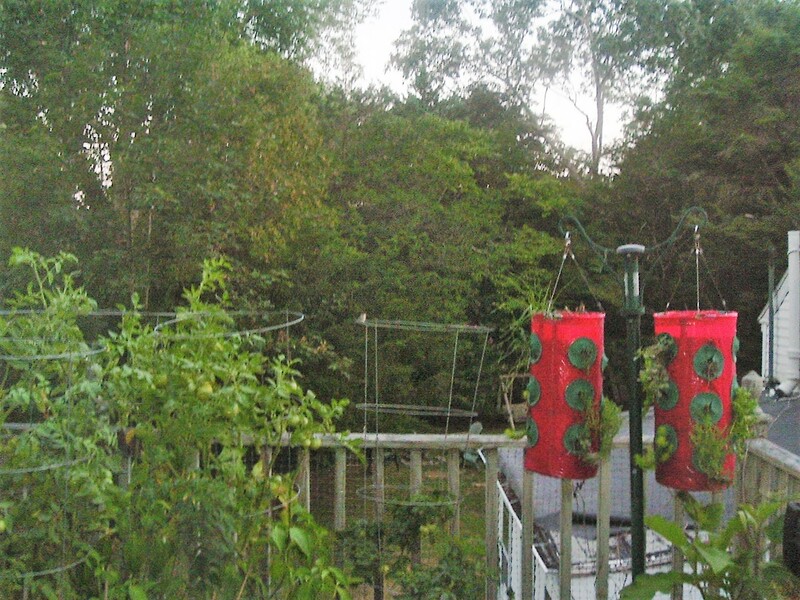 Well, yesterday I was fortunate to take a few pictures from inside of a hummingbird resting on my tomato cage. 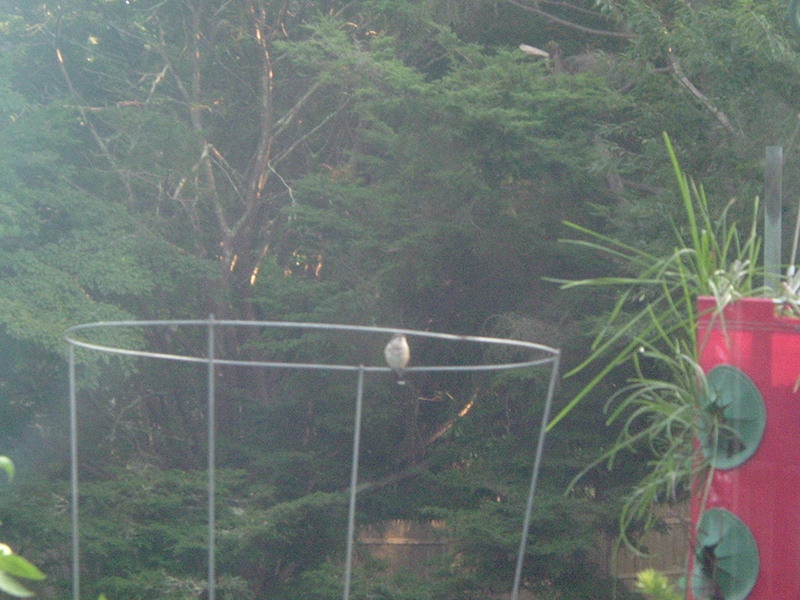 As a result these pictures are not of the best quality but you will be able to see the hummingbird resting. So happy I was finally able to get a few pictures! Enjoy!